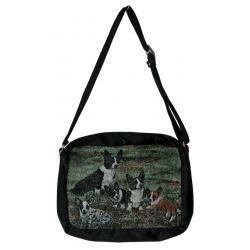 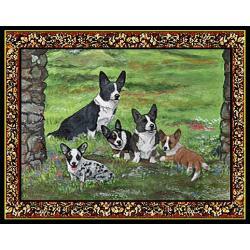 Our Cardigan Welsh Corgi gifts are created from exclusive dog art by Gone Doggin, we ship Cardigan corgi gifts for dog lovers worldwide. 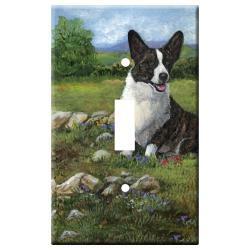 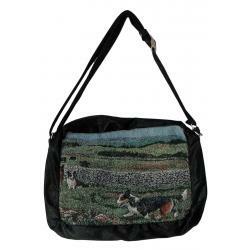 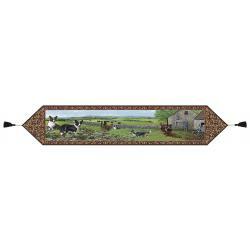 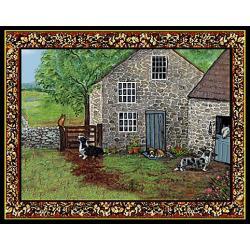 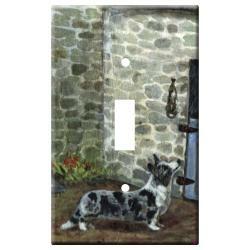 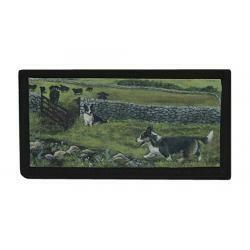 Gone Doggin Cardigan Welsh Corgi art features the Cardigan Corgi in their natural environment and accurately depicts the breed as described by the dog breed standards. 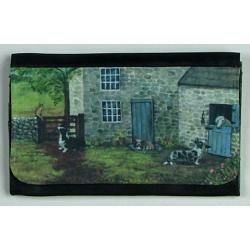 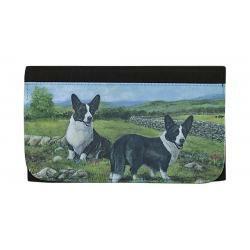 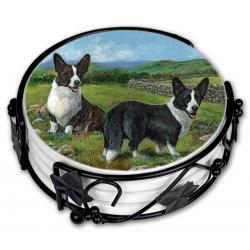 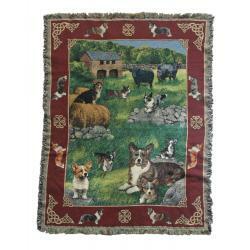 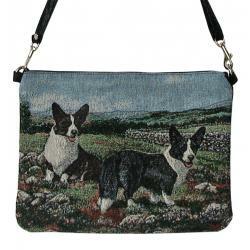 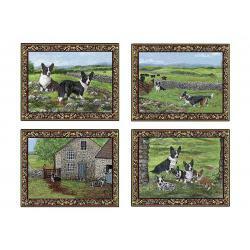 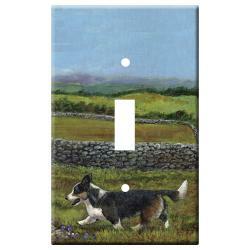 This makes our Corgi gifts and merchandise highly collectible and truly unique dog gifts for dog lovers. 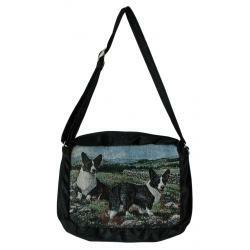 Known as the Corgi with the tail, the Cardigan Welsh Corgi is the older of the two Corgi breeds. 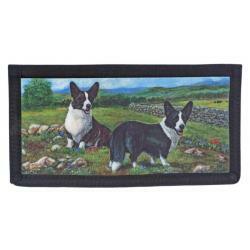 Like the Pembroke Welsh Corgi, the Cardigan is low set with moderately heavy bone and a deep chest. 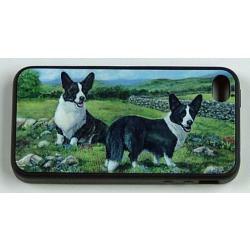 The breed is small and powerful, capable of great speed and endurance. 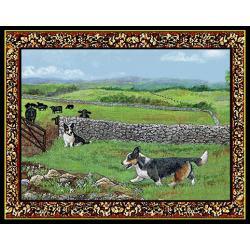 As a companion dog, they love to be with their people and are loyal, affectionate and even tempered. 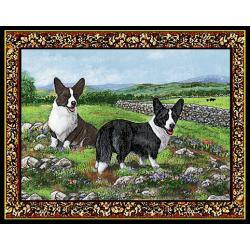 Recognized by the American Kennel Club in 1935 and is classified in the herding group.